Jakarta Budget (APBD) 2018 absorption has reached 54.8 percent.
" 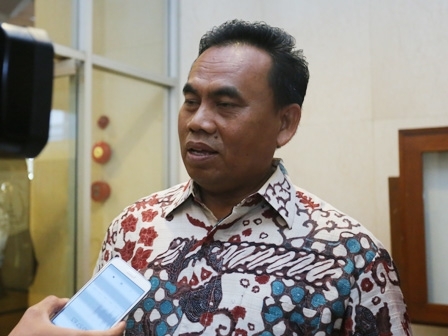 We are optimistic that budget absorption can be done optimally within the time remaining"
Jakarta Secretary, Saefullah mentioned, APBD absorption will be monitored continuously and intensively thus government know its progress and find out the obstacles. "Yesterday, we have a meeting to review budget absorption until 11.30 PM ," he said, Thursday (11/8). He conveyed that himself will continue to monitor SKPDs' commitment to absorb the budgets optimally. "We are optimistic that budget absorption can be done optimally within the time remaining," he asserted. He explained, there are some factors that cause budget absorption can't be absorbed optimally, such as regarding efficiency, failed contract, failed auction, and third parties who haven't collected the payment yet. For information, total Jakarta APBD 2018 is set at Rp 83.26 trillion.